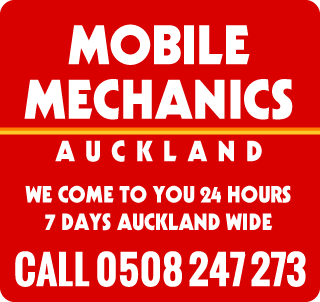 Auckland Mobile Mechanics are experienced in all makes and models for your cambelt replacement service and can check or replace your cambelt or timing belt (or Timing chain). The Cambelt replacement in a vehicle is approx every 100,000 kms or 5 years to avoid extensive damage to engine needing expensive repairs. What is a cambelt replacement for? A cambelt belt or timing chain is needed to keep the engine running smoothly. In an engine with an overhead cam, they maintain the cams turning at the right time. A camshaft opens and closes the intake and exhaust valves in your engine, to allow air in for combustion. A timing belt must be properly calibrated in order to operate properly with the pistons. Other area that may need replacing include water pumps, idler bearings and oil seals. Indicators that the timing chainor cambelt replacement maybe needed include a rattling noise from the front of the engine. If you are unsure, please contact us on 0508 247 273 and we will be able to advise on the best possible solution to your vehicles problem. Fast Efficient service – we will provide you with professional estimates as to the time required to complete the job.